Fastbraces® is a revolutionary new orthodontic treatment where teeth can be straightened in as little as 20 weeks. Employing patented technology it is able to produce results rapidly with minimal discomfort and is suitable for adults and children. Traditional braces move teeth into position in two stages, usually over a period of about two years. In the first year, the crown of the tooth is moved into alignment. In the second year, treatment addresses the position of the root of the tooth. However, the brackets used with Fastbraces® work on a different mechanical principle altogether. The patented system uses an innovative triangular bracket and a specially- shaped square wire to correct the position of the root of the tooth, from the beginning of treatment. This combination is key in realigning the root and crown simultaneously. Fastbraces® Technology gently allows for movement of the roots of the teeth towards their final position from the onset of treatment, achieving root parallelism at the beginning stages, thus completing treatment from 3 months to about a year. Some patients see results in just weeks! 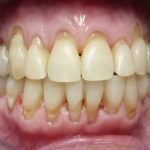 Do I need a retainer? 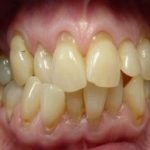 With the complete alignment of the roots of the teeth, retention is needed. We recommend that patients wear their retainers every night. Fixed and removable retainers are available.